The UNESCO Clubs, Centers and Associations are groups of volunteers of different ages and socio-professional status who become militants in the service of UNESCO’s WFUCA ideals. These Clubs take up a position on global problems with local repercussions and thus contribute to the process of reflection on social priorities. This movement attests to the ever-increasing role of civil society throughout the world and the influence that citizens can exert on socio-economic decision-makers. The 3,800 or so Clubs, spread over 100 countries, have three main functions: training, information and action. Although UNESCO’s WFUCA name appears in the titles of the different Clubs and their federations, it does not mean that the Organization is in any way responsible for their activities. n addition, to secure external financing, many Clubs turn to the National Commissions for UNESCO, ministerial departments, local communities and certain national or internationally-oriented bodies and also to companies, foundations and individuals. 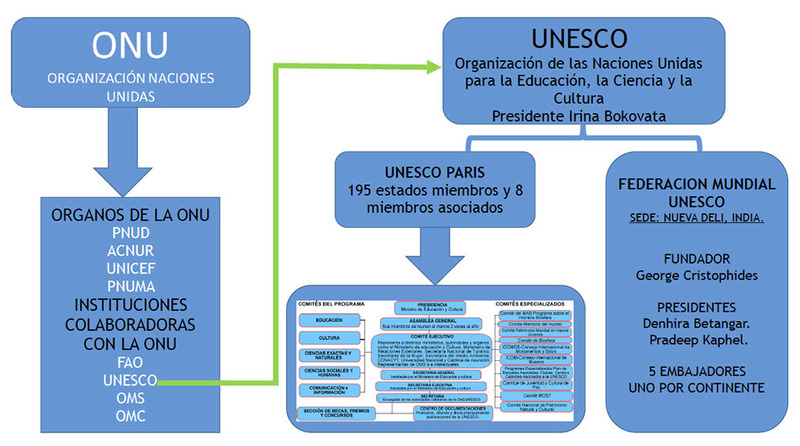 UNESCO helps to strengthen the Clubs’ impact by fostering cooperation with the programmer sectors, field offices and the Organization’s main networks, such as that of the Associated Schools. The World Federation of UNESCO Clubs and Associations, manages economic resources for sustainable projects of UN priorities, generating own resources through in-kind or economic deductibles, being these tax deductible to 100% as well as obtaining and donating resources through Social events, donations and social supports.